I’m going to state right at the beginning that I totally love the project for several reasons (those will be explained during the whole subseries on several occasions). As an information scientist and Blockchain enthusiast at the same time, I was troubled by the centralized nature of the so-called decentralized internet (yes… many academicians I encountered still think its decentralized) we nowadays use. For more than a year I was having conversations with several programmers, physicists and other information scientists about decentralized internet, whether it can use the current internets infrastructure, whether it even can exist and possibly how, whether it wouldn’t be shut down immediately and so on. 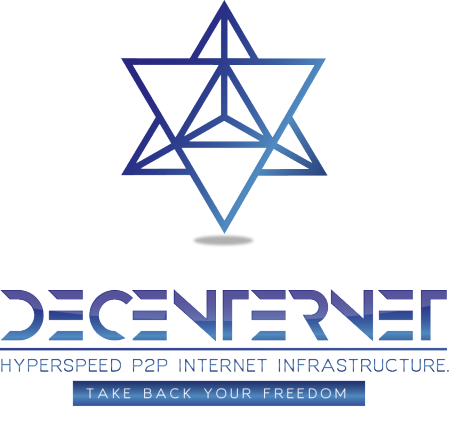 Few days ago I stumbled upon project called Decenternet – the decentralized internet. I was patiently waiting for similar project to appear and here it finally is. I felt the need for decentralized internet and after I read through the first half of the whitepaper (over 70 pages long!!!) I fell in love with the project. Nevertheless I will do my best to sustain the objectivity I strive for in everyday’s life. As the table of content implies, I will tackle variety of topics that are directly connected to the Decenternet project. Firstly its vision will be critically evaluated (this exact article). Then I will take a deep look at the “most valuable resource on the planet” as the whitepaper argues and the Spyce token, that will be the very cryptocurrency of the Decenternet platform. Decenternet will not be a “standalone” project. It will come hand in hand with an operation system called Anuvys, search engine called Liberty and web browser called Osiris. Their importance and use cases for the Decenternet will be also studied in an individual post. Every Blockchain project also has to have its form of governance. Since we will be talking about possible competition of the INTERNET ITSELF, it has to have a strong architecture in order to even be able to try to take down its competitor. When a general knowledge about the project and its tools will be established, we’ll take deeper look at the difference between Internet and Decenternet to truly evaluate (or rather summarize the obtained knowledge and compare it to the internet of today) for the first time whether it is as impactful project as the whitepaper proclaims. Those topics will be tackled in the penultimate article. All the afore-mentioned topics are explained in the whitepaper itself. The last article will deviate from the tone set by the previous articles. The last one will concentrate on one of the main issues the today’s internet causes – the hijacking of Net Neutrality. The first 5 articles will all be constructed in the very same manner. Firstly I will introduce the individual issues that the Decenternet wants to tackle. The introduction will be followed by quotes from the actual whitepaper, since whitepaper is basically a business case that should thoroughly explain everything connected to the project, so the possible future investors and supported have all the information at one place. I will try to create a constructive criticism where it’s needed, support, or debunk the individual quotes. Maybe I could contribute to further improvement of the paper by my feedback. At the end of each article I will summarize the obtained information and decide, whether the whitepaper explicitly states how the issue is supposed to be solved and basically anything else that should be part of every single whitepaper. Introduction of the project itself will at the same time naturally describe, and therefore introduce, its vision. The evolution of the Blockchain environment increases with every month it seems. Do you remember how the Blockchains of the first generation and second generation always tried to tackle one individual issue caused by current system and disrupt it via the new emerging technology? Do you remember how Blockchains of the third generation pushed it even further, solving multiple issues at the same time? Even though that according to the whitepaper Decenternet falls under the banner of the “third generation Blockchain”, it takes it to the whole new leve….realm. Any reader, that isn’t at the same time sort of “radical hyper positivist”, will probably think that Decenternet bit off more than they could possibly ever chew. Thinking is though one thing. Coming to a rational conclusion is a different one. Let’s go through that process together. 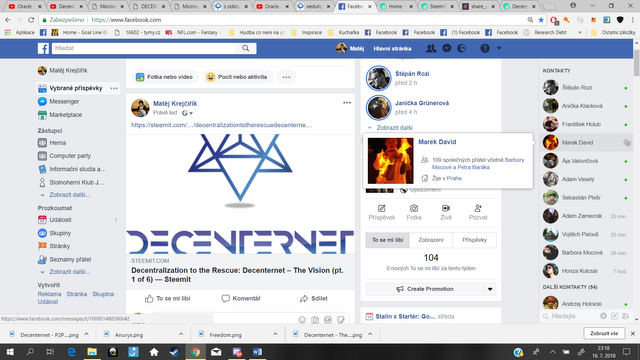 Decenternet aims to disrupt the nowadays centralized nature of the internet and much more than that. Let me explain really quickly, how the internet of today works. I will take much deeper look at it in the 5th article of the series though. Basically internet today is centralized due to the fact that governments either directly, or through companies that have to account for them control a centralized hub through which all the information has to go first in order to reach certain area of the planet (usually a state). That is why China can do what they do. That is why USA could have destroyed domains that weren’t to their liking. But as I said more about that later. Decenternet wants to bring internet back to the day where it started (ARPANET and the immediate subsequent spreading). It aims to run on its very own OS called Anuvys, it aims to come with its own web browser and search engine. It aims to provide a unique governance model that wouldn’t be prone to centralization due to their POR (proof of reliability) mechanism. To sum it up, it aims to revolutionize with technology, peace and abundance the way the information society operates in. If it is to succeed, the whitepaper has to convince all the possible investors and contributors to make it reality. I’m here to study whether the whitepaper does provide the necessary information. Let’s get to it what do you say? Is it really the case? Is there anyone that could prove that it truly is the case? Why is not the environment realistically scalable? It feels like we (decentralized communities) have extensively targeted the scalability issues. The first generation blockchains truly have not overcome it yet, but as we have reach the third generation it feels like we are going in the right direction. Now when I look at Steem, EOS and so on, the battle doesn’t seem futile. But then again don’t take those statements as granted. I’m no programmer. If any could provide more info, or even reference so the whitepaper could be update it would be awesome! The author actually does seek the reference for the statement. Can anyone help? I am very open-minded libertarian with a rather positive approach. I believe that dapps can improve the world. Lot of great minds from our communities (for example my favourite Andreas Antonopoulos) tend to say stuff such as “I see the potential. As soon as more people will start to realize…”. This MAY BE a bit to overoptimistic. Let’s wait and see what the team can bring. I would love it NOT to be overoptimistic. This is oh very noble quote. In fact I do believe that this is the future. I though will play the devil’s advocate now. The way the dapps disrupt the “old-school” market is through rewarding its users for the activities they do. Despite the fact that most dapps only reward very specific activities, and when Steem is concerned it can even be HIGHLY personalized, people nowadays still don’t understand Blockchain, don’t see its use cases, cannot imagine themselves being rewarded by something else but fiat, or (maybe most importantly) don’t know their strengths and CANNOT AFFORD TO SEARCH FOR THEM. How will another dapp that enables them to monetize ANY activity help? Will they not be just more confused? As a @sndbox steward I very actively and enthusiastically tried to gather the creatives from my surrounding and teach them about Steem. I tried to explain how they can EARN CRYPTO for doing activities they ALREADY LOVE DOING (and usually spend hours doing voluntarily). I even tried to give them examples what they could do. I advised them what people already are doing and succeeding or what the Blockchain still lacks. I also guaranteed them at least some initial income for their effort. I made sure they understand. I did what I could. And I failed. Horribly. I do not try to argue against Decentranet here. I merely just tried to share my own experience that I suffered while trying to convince very clever people all around me to join at least one, arguable the most user-friendly, decentralized community. The introduction simply does feel a bit overoptimistic. Maybe that is exactly what we need? We shall see. This hits the nail on the head… with the strength of concentrated nuclear power. This whitepaper is simply different. The author obviously tries to re-create the massively innovative feeling the first whitepaper of them all (Bitcoin’s) had. And I have to admit…I’m buying it. My methaphysical understanding of the world is very similar. But here is the time when I already have to say it. This critical feedback would probably fall under “whitepaper’s suggested changes”. The chapter is (simply put) called “Approach”. I am a very durable reader. I will read all the 70 pages that I already know. There is no reason why to have only just a handful of subchapters. This whitepaper could use TONS of them. Ease the orientation for the reader! Well-structured texts are always easier to digest. “Don’t let the consumer think” the saying goes. The text deserves better structuring if it wants to follow in the steps of Satoshi Nakamoto. The (I do not fear to use the word) ideological statements (I already know despite finishing only 10 pages of whitepaper by now) will be occurring through the whole text. I believe that sometimes it’s important to state them before, or after, a very peculiarly selected sentences. Up until now the majority of the text should probably be labelled as “Vision”. I haven’t even reached the (ONLY!!!) subchapter vision! There is A LOT OF TRUTH in those words. Everything is a scale and even though we call the current dapps decentralized, they in a sense are still just on a scale Centralized/Decentralized and they still do maintain some of the centralized maladies. The Decentranets vision is obviously very bold. After 15 pages of text I could use even some “solutions” already. I’m convinced that they will appear, that’s why I continue reading. But then again, others could not. I think that readers should be explicitly warned in the beginning about this aspect of the paper. Overall a lot of “transcendental” talks happens to be in the whitepaper and mainly at the beginning. Whitepaper should mainly be (or rather has always been) a “business case”. I do love the way the author thinks in I’m not gonna hide anything. But if the project truly aims to be massively adopted and compete against the internet itself, it needs to be structured more intuitively. It needs to send the message right off the bet to the reader, so he knows exactly what to expect in which document. It’s totally ok to be different (arguable even needed? ), but the reader needs to be instructed. There are several ways the author could solve the problem of “not so user-friendly paper. Either there could be 4 papers: “Whitepaper”, “Technical whitepaper”, “3-pager” and finally “Vision”. Basically the first and second chapter of the whitepaper is all about “Vision” and that is about 23 pages. Only very rare portions of it actually do speak about the solutions the Decentranet will bring, such as mentions about Proof of Reliability, Anuvys the browser, Osiris OS, Liberty the Search engine and Spyce the currency. I understand that technical aspects are going to be tackled in the “technical whitepaper”, but that doesn’t mean that the original whitepaper should be mainly about ideological views. Its ok to have them in there, but they should be concentrated in an individual massive chapter, and “Vision” could totally fill that role. When I perceived the first 20 pages as one main chapter “Vision” the whole chapter started to make more sense in the grand scheme of things. If the reader knew from the beginning that we are going to be talking about Vision for the future 20 pages, it would be much better I think. As one is reading through the whitepaper, one soon realizes that the “vision” has several aspects. Those could serve as subchapters. But that’s just me brainstorming about the matter. Anyway I strongly recommend reading those two chapters. It may open your eyes. And how about you? Have you already heard about the project? Have you already formed your opinion? Share it with me if you will! Shared to 500 friends on Facebook. This is a fascinating read and a sort of beautiful transcendental dissection of a complex topic. I look forward to Parts 2-6. And I am increasing curious what the most dominant species on planet is? Beetles or Bacteria? Working on it right now! Will do my best to fulfil what i myself set in front of me in next two weeks. The most dominant species on the planet are clearly the devs, right? :) Well, it should be anyway. They are no longer part of human specie you say? :D evolution worked once again?